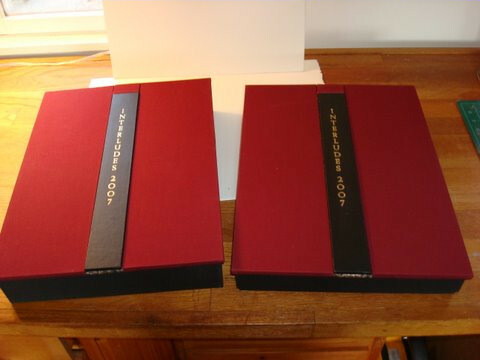 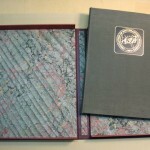 Light of Day offers three main types of protective enclosure for books. 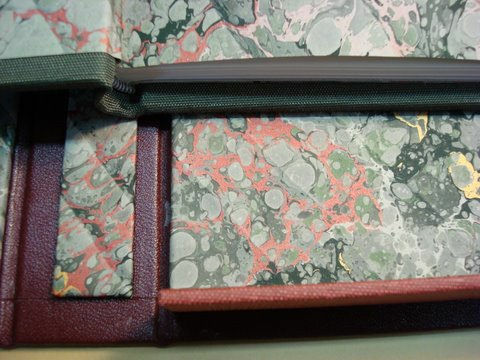 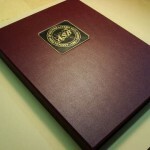 Most often the customer who is having a book restored or a special book bound, will want the best structure to protect their book. 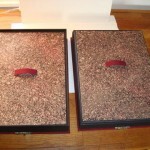 We always suggest the Clam Shell Box as a first choice. 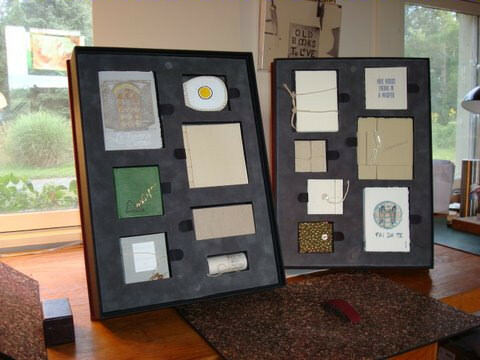 It is made of archival materials and it provides two overlapping trays and an outer case to house a book. 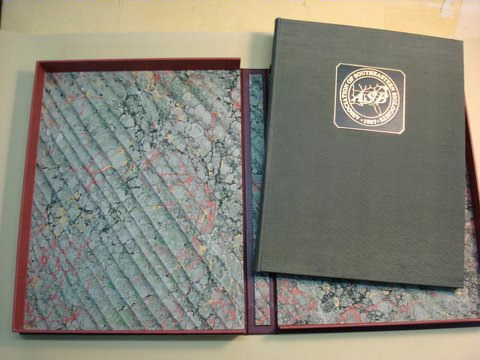 The first four of the five most damaging elements for books and paper (air, light, abrasion, dirt and moisture) are kept to a minimum in a clam shell box. 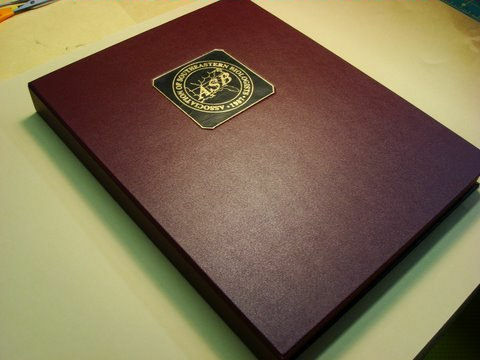 Slip Cases are also helpful in keeping books safe from damaging elements. 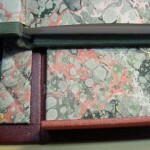 They are less costly to construct; however, the spine is exposed and is therefore at risk of fading from sunlight and damage from dirt. 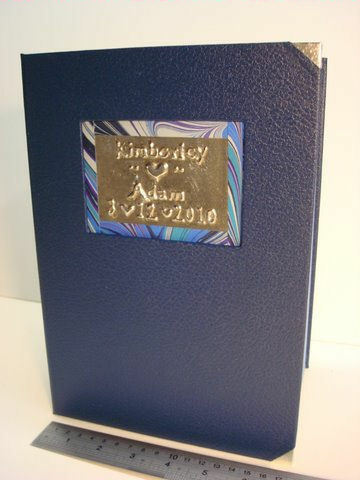 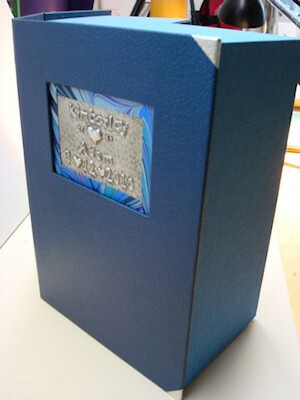 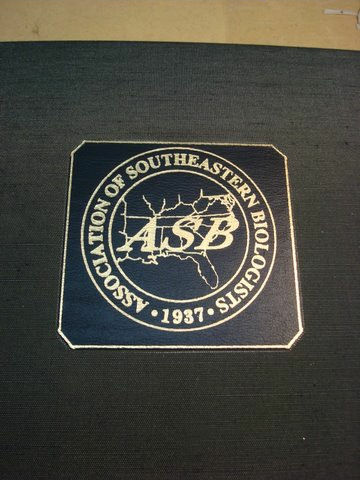 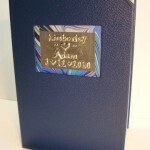 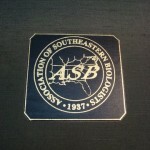 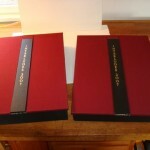 Often a customer will ask for a Custom Design Box that might hold a unique book, more than one book or a combination of book and letters; it may have drawers or secret places. 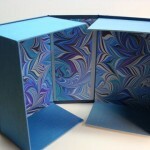 Light of Day is happy to create the box of your dreams. 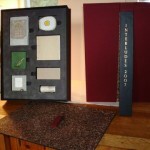 We can design it together and it will be constructed of materials you choose. 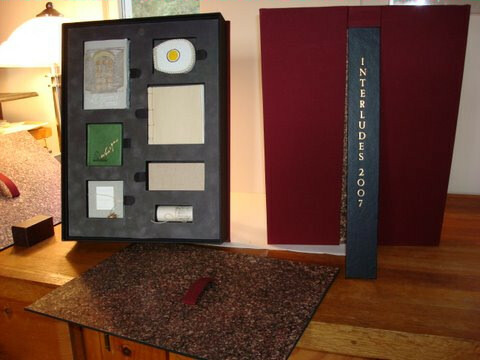 The Interludes Edition box is an example of a one-of-kind box, constructed for a special purpose. 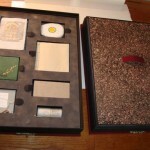 This holds 14 miniature books of different sizes and shapes. 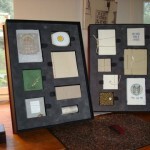 It has two sides to the box that can be displayed separately or put together for transport. 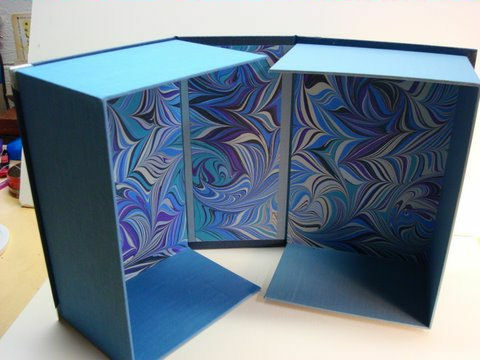 The sides are held together by exact fit and magnets. 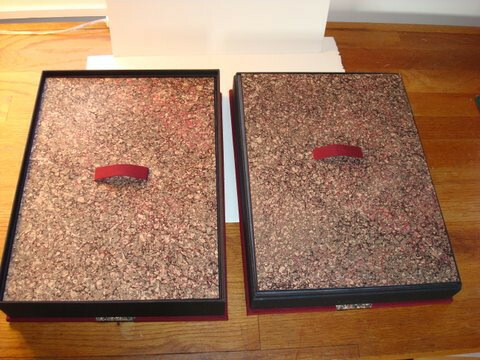 The covers to each side of the box are also held in place by magnets. 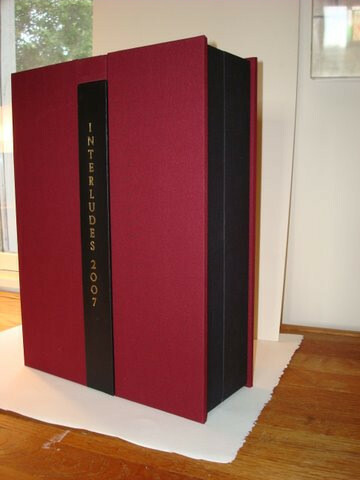 The Title of the Box is printed on two black strips of board that recess into the cover or are set at an angle when the box is displaying its contents. 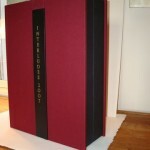 This special box was made for Interludes Edition at BookWorks to hold 14 miniatures. 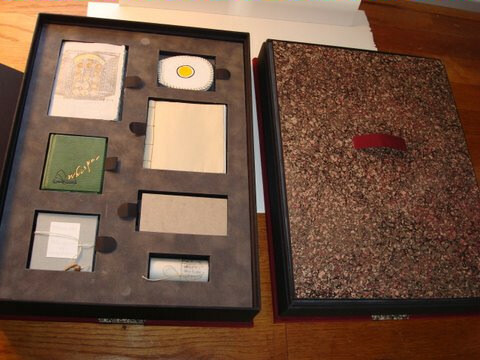 It was sold to the University for their collection.